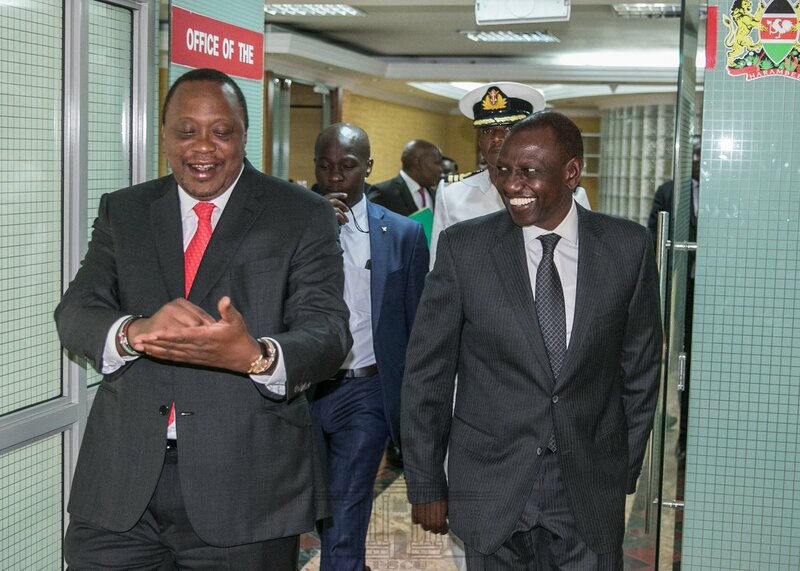 While thinly veiled as a sign that Uhuru Kenyatta was extending an olive branch to the deputy he is supposed to endorse in 2022, the meeting that took place at Harambee House Annex was nothing close to a date between friends. Interviews conducted by the Nation with those familiar with the events of that day paint a picture of a president determined to put corruption to its deathbed no matter the political consequences those actions will bring. According to the Nation, the president visited the deputy president Dr William Ruto to prepare him psychologically for the sandstorm coming in the coming weeks as a direct result of corruption within government. There is credible talk that Kenyans will witness, in the month of April, the prosecution of three cabinet secretaries at a go for their roles in various corruption scandals that have rocked the government of Uhuru Kenyatta and tainted its name in ways some say are irreparable. The sacking and consequent prosecution of three cabinet secretaries will have far reaching political consequences and cause imbalance in the delicate political equation that the duo has struggled to maintain over the past six or so years. Before leaving the country for Morocco, former prime minister Raila Odinga met president Uhuru Kenyatta at State House. Details of the meeting have been largely kept secret and nobody really knows what the two discussed. The president is expected, at the coming State of the Nation address to Parliament, to send the strongest signal that he is determined to fight corruption to the bitter end. During his meeting with Dr William Ruto, he asked his deputy to join and support him in fighting the vice. He asked him not to take things personally when high profile arrests take place in the coming weeks. President Uhuru Kenyatta also took the chance to rubbish claims by politicians from the Rift Valley that DCI George Kinoti was being used by powerful people in the country to wage a selective war against corruption. Oscar Sudi has on numerous occasions directly pointed an accusing finger at DCI Kinoti.